Yeah! This is the new update for styles ‘Razor’ by team COLOVE… Sylenth1 Razor Bundle (dark, classical and white pianos).. Full support Sylenth1 Version 3.053. 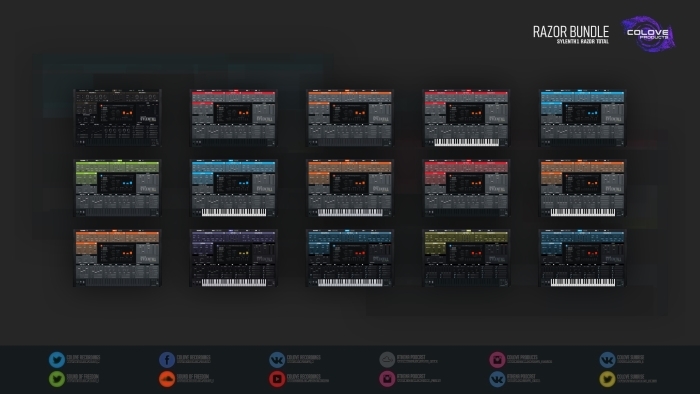 Fixed major issues and added Arpeggiator Swing knob.. А now we can’t give you the only single Skin. A now we pres. all in the one Bundle, all skins by COLOVE Products, definition of In Style Razor. Enjoy! Buy a product equal on the price is 16 Euro / 18 USD.